As technology advances, it’s becoming easier and easier for local businesses to reach customers around the world—but the challenges of distributing and delivering over such a widespread network are also increasing. If you’d rather not spend precious time and energy keeping up with your company’s complex distribution plan, then put yourself in the expert hands of Liberty Movers! Since 1920, we’ve helped countless businesses enhance their efficiency and lower their costs through our skillful Worcester warehousing and distribution management. We’re not only the area’s oldest and largest moving company—we’re also a proud partner of Bekins Van Lines, a nationally acclaimed moving network that covers more than 95% of the United States and has professional partners all around the globe. So wherever you need to warehouse or deliver your products, Liberty Movers can help! Whether you’re a small independent local business or the Worcester branch of a national company, Liberty Movers has the flexible and secure warehouse storage you can rely on. Using special containerized storage vaults, we’ll pad-wrap, inventory, and safeguard your commercial property for as long as you require. Once we have your products in place, you can work with our warehousing and distribution specialists to build a delivery strategy that drives growth and profit for your company. 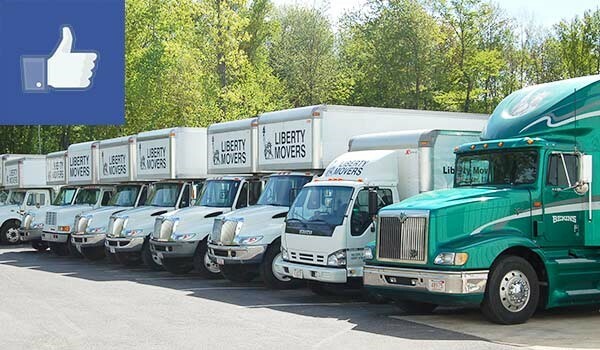 At Liberty Movers, no distance is too far and no load is too large for our Bekins-affiliated movers and drivers. To find out more about our warehousing and distribution services or to request a free Worcester storage cost estimate, call us or fill out our brief online form now!